Isketchnote is a unique iPad cover that helps you to digitize notes while you write them down on regular paper. It doesn’t require any kind of special pen, save for a little magnetic ring that you can add to your regular ballpoint pen, can be used with any kind of paper, and even makes it possible to write things down in your Moleskine or another notebook of similar size. The Isketchnote team made a big splash on Kickstarter last year, where it wanted to raise $35,000 and ended up walking away with $346,000. Isketchnote may not be the first company to tackle digital notetaking, but I liked the prototypes the company was demonstrating at CES, and it made me wonder how long it will take before a company like Moleskine somehow integrates technology like this into their notebooks. 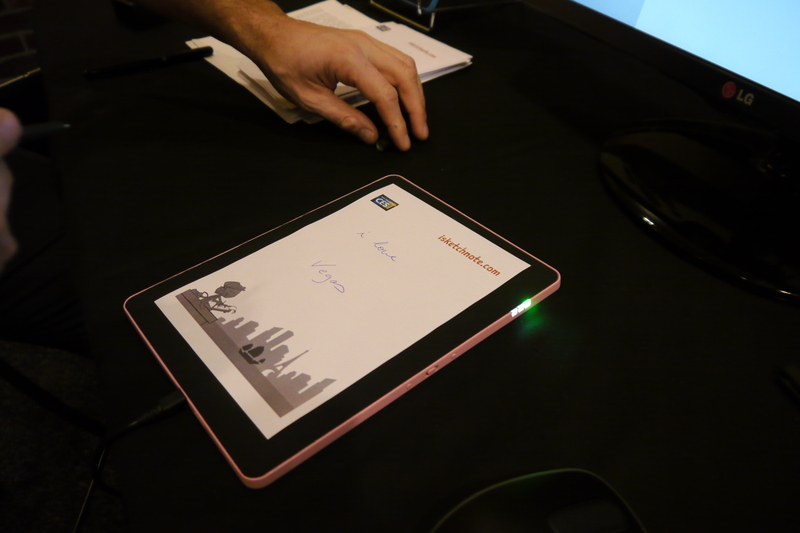 Isketchnote will go on sale in the first half of this year for $200. There was no shortage of wearable computers at CES, but while other companies were looking to add more and more features to their fitness trackers or smartwatches, Netatmo went down a different path with its June bracelet. June measures UV exposure, and an app on a connected smartphone tells the wearer when he or she has to get out of the sun, or reapply some sunscreen. This may sound like an edge case to some, but skin cancer is a real concern, and responsible for almost half of all cancer cases in the U.S. But June also goes to show that single-purpose wearables have their place, and actually may look better than a gadget that is trying to solve every problem at the same time. June will be available for $99. As houses become connected and appliances around us become smarter, one of the big challenges is to actually make sense of what we are doing and where we are when we are at home. Automatically turning on the light, changing the AC settings or even alerting the alarm company is more challenging than it sounds. Motion detectors have blind spots and cameras can be creepy. Xandem wants to help solve that problem with a mash of radio frequency (RF) sensors that communicate with each other and sense the movement and location of people. 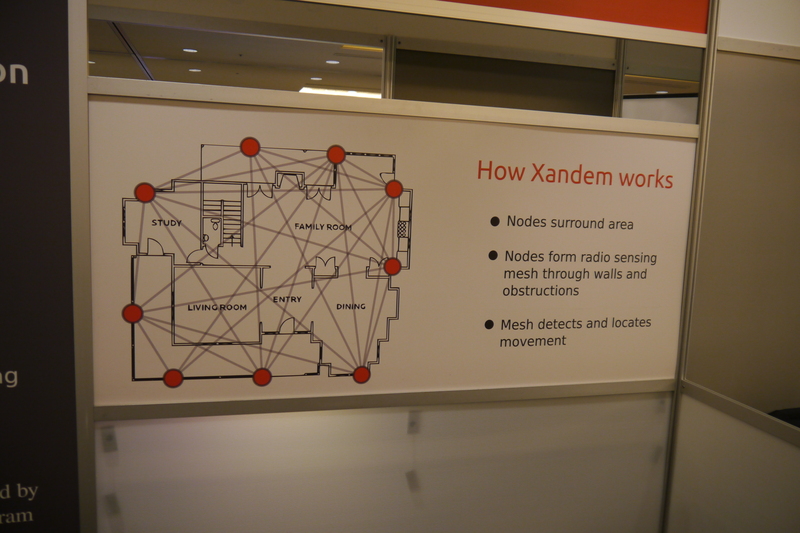 Using RF makes it possible for Xandem to penetrate walls, so you don’t have to have multiple sensors in every room. The Xandem team told me that you can even hide the sensors behind furniture or in the walls. A Xandem starter kit with six sensors costs $695.